Two of Brazil’s most famous characteristics, futebol and the favela have its roots intertwined from way back. After the British brought what is now most popular sport of the planet to South America about 115 years ago, it was initially adopted by the elite. Around the same time, in the first years of the 20th century’s, the occupation of a hill in downtown Rio created its first favela. 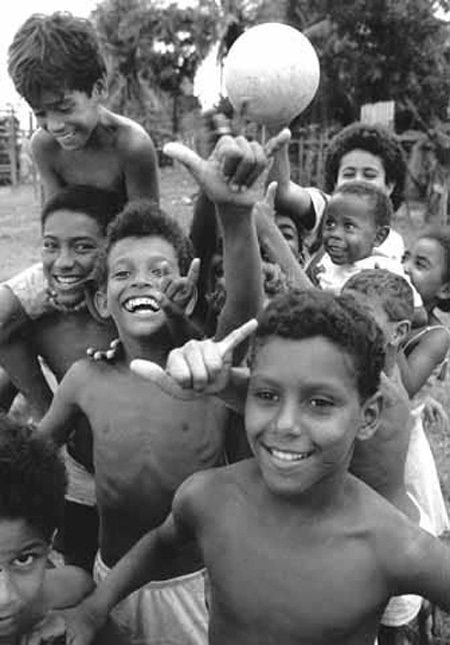 Once the game reached the Brazilian peripheries, it broke away with the European formalism and transformed itself in the exuberant game now well known. Soccer and favelas are the highlights of the famous (or infamous) Brazilian informality. The histories of Brazilian soccer and Brazilian favelas go hand in hand throughout the century. As Brazil prepares to host the FIFA World Cup in 2014, those histories have become more intertwined than ever. As I write these lines I am afraid that decades of participatory processes and community empowerment are being pushed aside with the excuse that Brazil is in a hurry to build the infrastructure for the World Cup ( in 14 different cities) and the Olympic games in Rio. All of this, in 10 installments, to be able to explain why I am so worried that the World Cup and the Olympics are being used to dismantle decades of progressive engagement in the favelas of Brazil. Hi all! Very interesting blog! I think the theme of big events is fundamental to understand the evolution of Rio de Janeiro favelas. This “década de ouro” will tell us a lot of things about the trends of relationship between formal city (with its cultual systems and politics way to solve people problems) and informal city. The second one will be an urban part to be hidden? Or history will tell us that the urban segregation of Rio’s favelas will be left behind wth a new integration approach, based on effective participation? Congratulations for the blog from Italy!